While we have our tried-and-true favorites, including Tatcha Silken Pore Perfecting Sunscreen ($65) and Drunk Elephant Umbra Sheer Physical Daily Defense Sunscreen ($34), this year we're looking to shake things up by trying a whole host of new formulas that have recently hit the market. We are, after all, beauty editors, and testing new products is kind of our thing. So without further ado, take a look at the 12 new sunscreens that we've been buzzing about around Byrdie HQ. 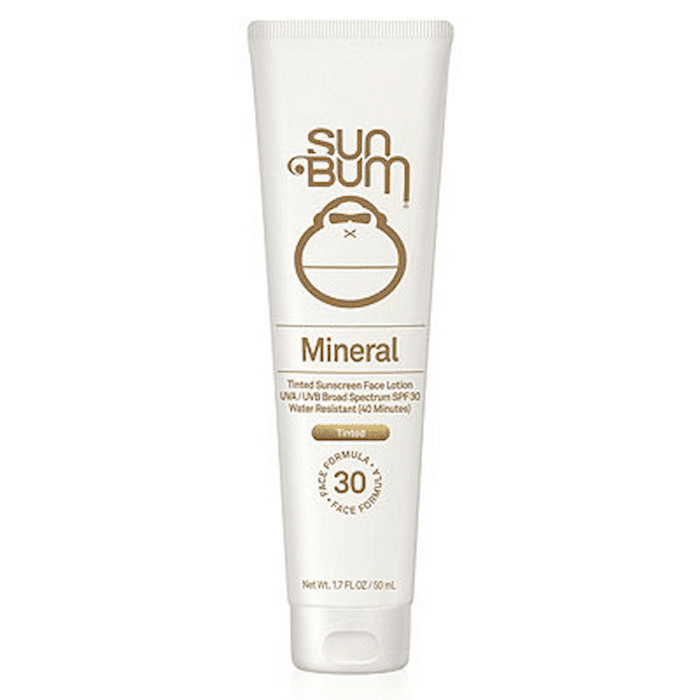 Sun Bum—a longtime favorite sunscreen brand—has recently released a new tinted formula that leaves behind a sheer bronze glow (there's no white cast to be seen). It has primer technology, which means it makes the skin feel soft and smooth, just like a traditional makeup primer. Basically, it's a do-it-all product, acting as sunscreen, a skin tint, and primer all at the same time. It's even coral reef friendly, being formulated without potentially harmful oxybenzone and octinoxate. 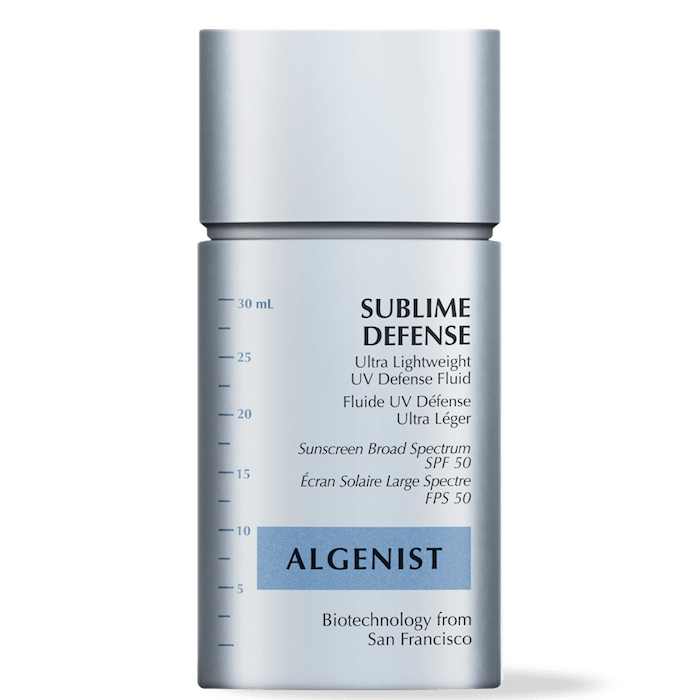 Algenist's newest sunscreen formula is UVA/UVB protecting and anti-aging. A sun protection factor of 50 deflects harmful rays while antioxidant-rich botanicals and alguronic acid treat signs of aging (like fine lines and wrinkles) caused by the sun and other environmental factors. Consider this to be 2018's ultimate anti-aging sunscreen. Supergoop is a brand that's built on sunscreen. No matter if the SPF is in stick, liquid, or spray form, it's good stuff. The brand's newest sunscreen formula to hit Sephora's shelves is this glow-boosting dry oil sunscreen. It has SPF 50 along with Amazonian oils and fatty acids to instantly increase the skin's radiance sans shimmer. It boosts the skin's glow so effectively that the brand even recommends using it as a highlighter. If you weren't convinced that 2018 was the year of innovative sunscreen, then this should do the trick. 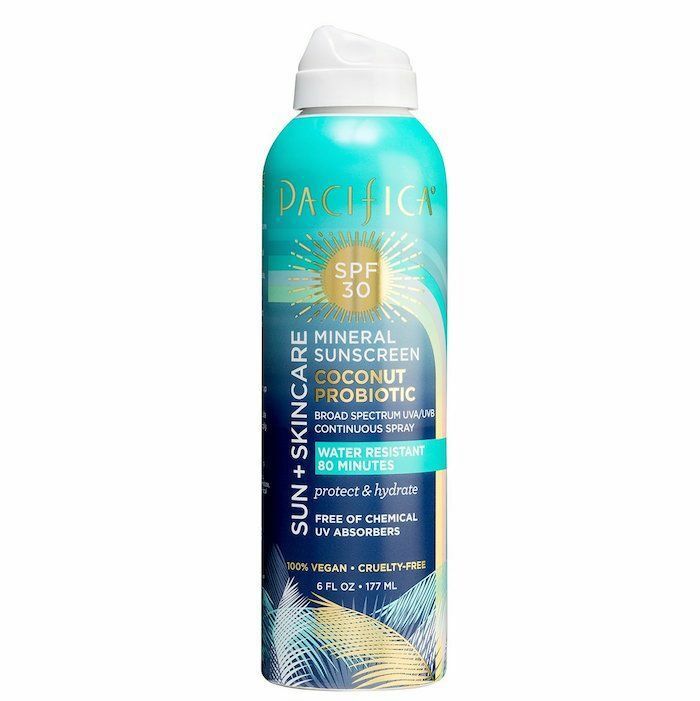 Pacifica, one of the only vegan and cruelty-free drugstore brands, released this spray sunscreen complete with probiotics (which, if you didn't know, are seriously beneficial for the skin). 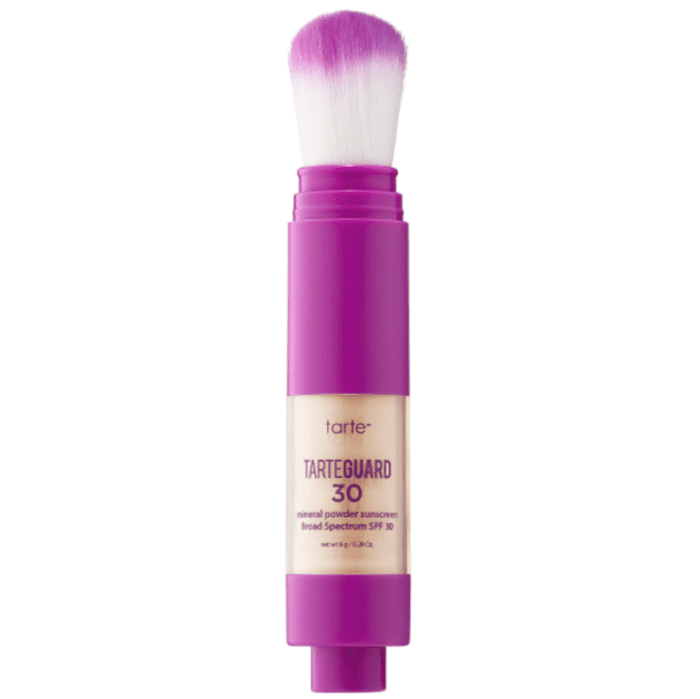 It offers the skin hydration along with water-resistant SPF 30. 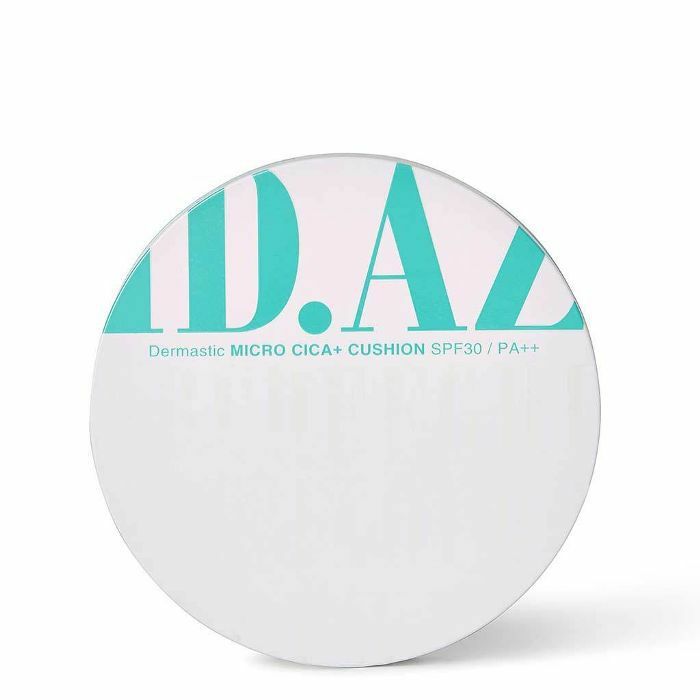 Leave it to a Korean skincare company to house sunscreen in a cushion compact. This one wins the award for most portable formula. Toss the little round disk in your car, purse, or beach bag for easy application (with no threat of spillage) on the go. It even has Centella extract to soothe stressed skin, as well as antioxidant-rich soybean extract. 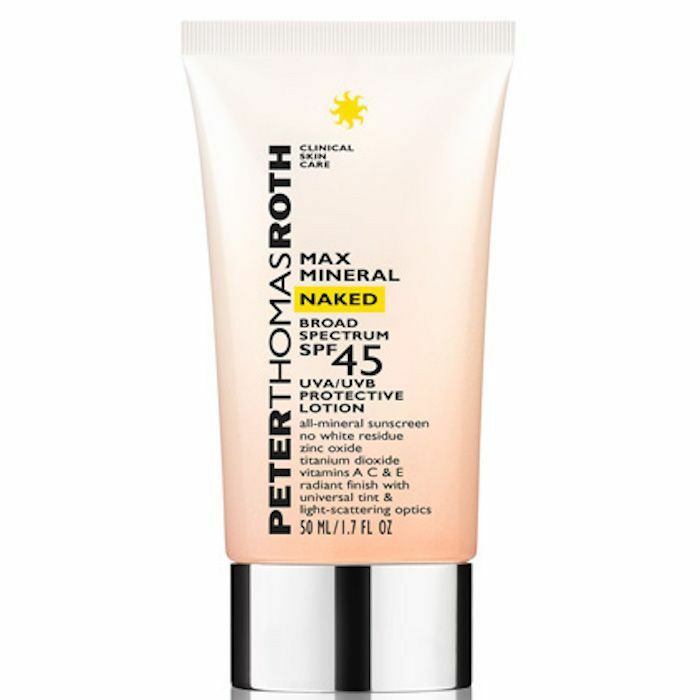 Peter Thomas Roth's new sunscreen utilizes vitamins A, C, and E plus safflower extract to nourish the skin and provide antioxidants. It's perfect for people who prefer "no-makeup makeup" because it has a universal tint to it and light-scattering particles from diamond powder. Wear it over moisturizer and under makeup. 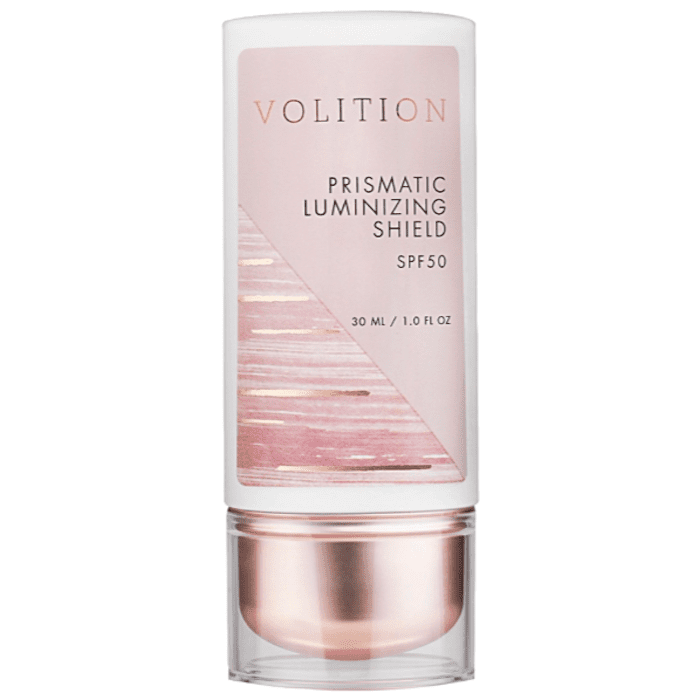 Volition's Prismatic sunscreen is similar to the Peter Thomas Roth pick in that it boosts the skin's natural radiance, but this time with pearlized light-reflecting powder. It's crazy popular. Since its launch, it has sold out from Sephora multiple times and built quite the loyal customer following. Tarte's sunscreen is unique in that it's a translucent mattifying powder. That means it's fit for anyone who has oily skin and wants to avoid a shiny complexion. It also means that it's easy to reapply throughout the day since it can be dusted over the top of makeup with ease (unlike other traditional liquid and gel formulas). 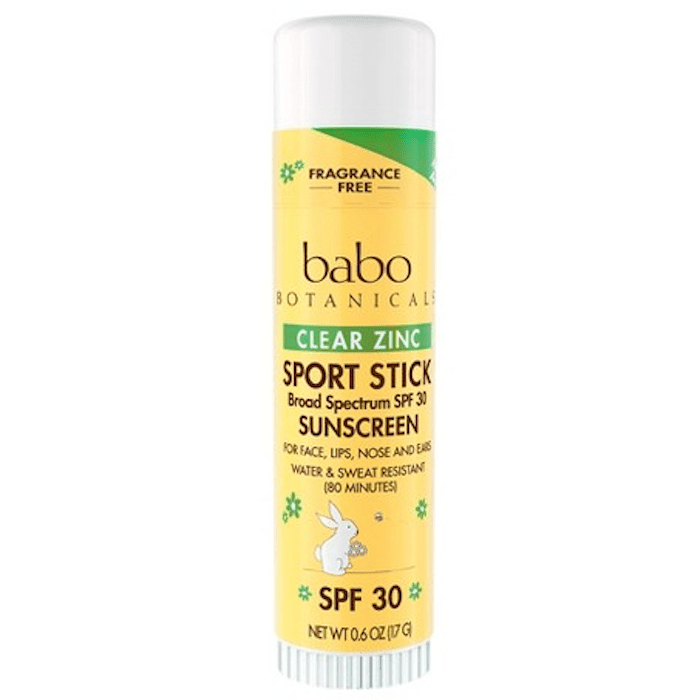 Babo Botanicals is a drugstore brand that specializes in making products fit for babies, children, and anyone with sensitive skin. 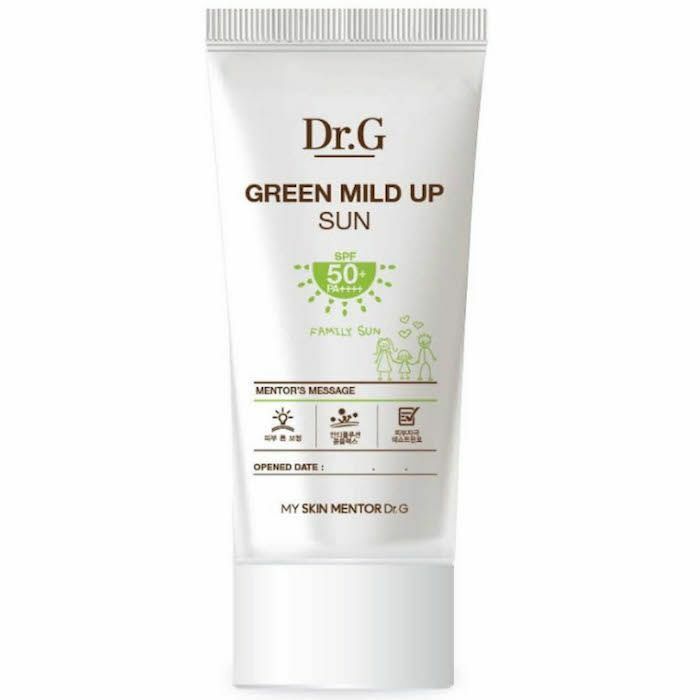 It's 100% zinc and dairy, soy, gluten, and fragrance-free, making it a good choice for anyone who might prove allergic to other popular sunscreen ingredients. 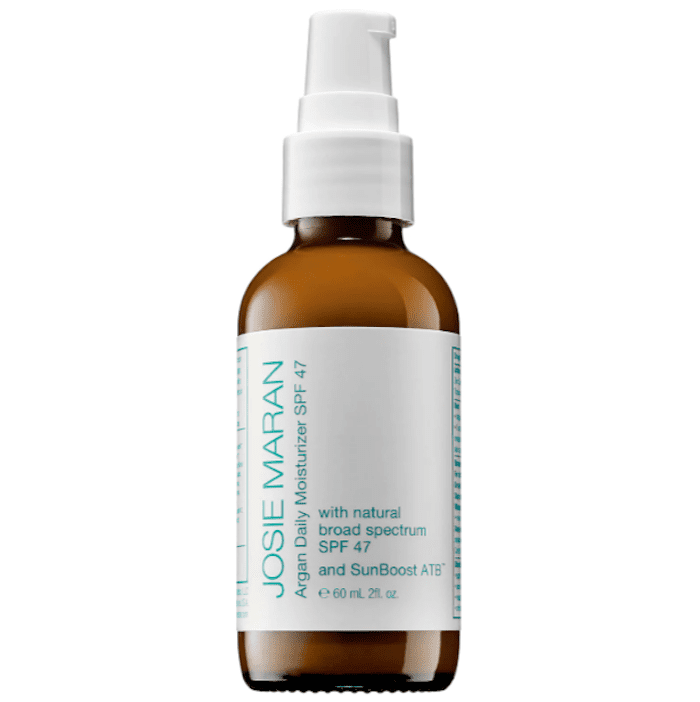 Josie Maran's new sunscreen is an updated version of her Argan Daily Moisturizer ($36). It's lightly tinted to provide a warm, lively look to skin, and you won't see any white casts here. What you will see is the nourishing benefits of argan oil and green tea, anti-aging effects, and a radiant glow. Coola's new Sun Drops sunscreen is 100% organic and vegan. What's distinguishing about it (other than that first fact) is that it defends from harmful UVA/UVB rays as well as infrared and high-energy visible light. That means it protects your skin from the signs of aging that come from artificial light emitted from computers, TVs, and your phone. 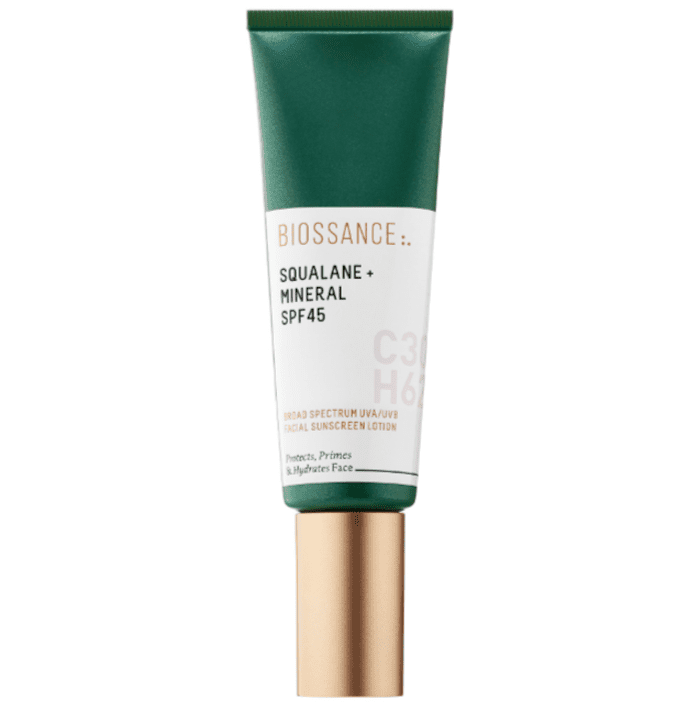 As for sunscreen that doubles as a makeup primer, you'll want to reach for this one from Biossance. It's formulated with squalane, the same superbly hydrating ingredient found in all of the brand's products, along with SPF 45 to defend skin. It's lightweight, non-greasy, and perfect for layering. If you have ultra-sensitive skin, this new K-beauty sunscreen might be worth a try. It's formulated with soothing Centella extract, hydrating chia seeds, and nourishing seed oils. 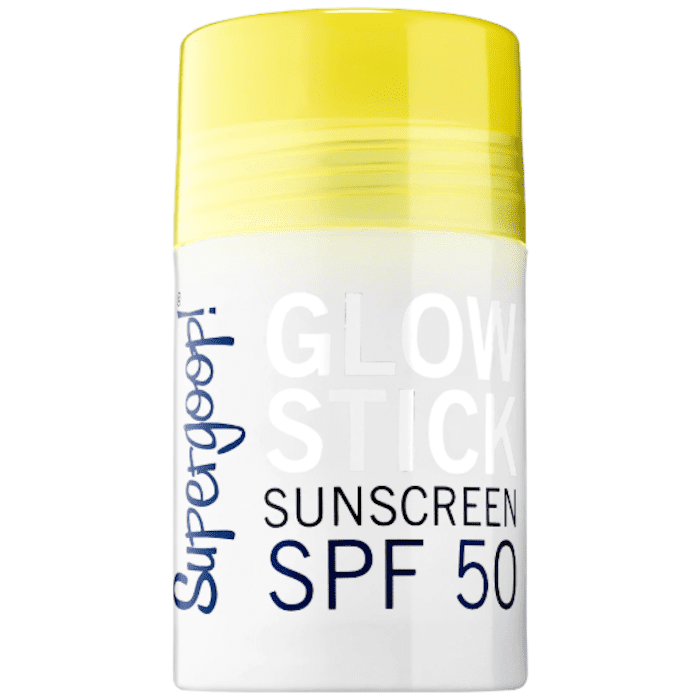 SPF 50 scatters and deflects harmful sun rays. It also happens to be free of parabens and synthetic dyes. Now that you have the lowdown on the newest sunscreen formulations, check out the cooling beauty products you should stock up on before we experience our first summer heat wave.